XINHUA – China and Chinese companies are helping Uganda achieve its dream of reaching middle-income status by 2020, Gen Edward Katumba Wamala, the Minister of State for Works, said on Tuesday. Chinese companies are the leading executor of most of Uganda’s flagship projects like the Entebbe airport expansion and the Kampala-Entebbe expressway, Katumba said in an interview with Xinhua, adding that Uganda welcomes the Chinese contribution to the country in the area of infrastructure. The projects conducted by Chinese companies are “worth the cost” because of the quality of work, Gen Wamala told Xinhua in Entebbe. 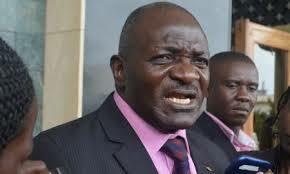 Gen. Edward Katumba Wamala the State Minister for works. Katumba also said Chinese companies employ a lot of local people, and are transferring skills to them. According to him, China and Chinese companies are participating in Uganda’s development process. “They are helping us to achieve our dream, because our dream is to turn this country into middle-income status by 2020,” he said, adding that Uganda can’t achieve this goal without good infrastructure. 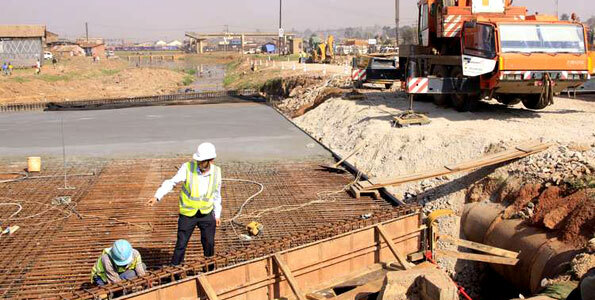 Good infrastructure will reduce the cost of running vehicles and reduce the travel time, said the minister, noting the contribution of infrastructure in Uganda’s development. As the interview is going on, cars are moving on the Kampala-Entebbe expressway in trial operation, not far from the interview location. Katumba said his only worry about the road now is that people are going to get too excited and possibly many cars are going to roll over on the road because of over-speeding, as there are very few roads, if any, of that quality in the country.